Shelley comes to Northern Alabama from middle Tennessee where she spent most of her childhood and adolescence. After receiving a Bachelor’s of Psychology from Belmont University, Shelley began working as a social worker for six years at a non-profit organization, Davidson County Juvenile Court and lastly the Tennessee Commission on Children and Youth. 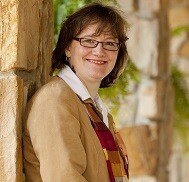 During that time, Shelley also received a Master’s in Counseling from Trevecca Nazarene University. In 2000, Shelley began a new aspect of her career when she began attending the University of Alabama School of Law. Shelley graduated in 2003 and began a clerkship with Madison County Circuit Judge Loyd H. Little that fall. Spring 2004 was the beginning of Shelley’s private law practice when she became an associate attorney at Grace, Evans & Matthews working in insurance defense law. Shelley was fortunate enough to soon have the opportunity to move into domestic relations law at the beginning of 2005. From January 2005 to February 2008, Shelley worked at William P. Burgess, Jr., P.C. where she learned the practice of domestic relations law from her mentors Bill Burgess, Esquire and Judge George Craig. Shelley opened her practice in February 2008, offering clients a variety of ways to resolve domestic cases, including uncontested actions, contested litigation, and collaborative resolutions. Shelley has a variety of interests outside of the practice of law, such as reading, playing guitar and singing, photography, and building furniture with very basic woodworking skills. She loves the mountains and appreciates the arts and crafts of glass, wood, and metals.